Baird’s Auto Care is a full auto services in McLean County, IL and throughout Normal, IL. 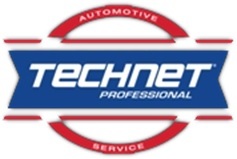 Our expert repair technicians perform everything from front-end services to engine repairs on most makes and models. From exotic foreign cars to typical domestic cars, our technicians have the skills and experience necessary to repair your vehicle. With our competitive pricing and friendly service, you can rest assured that your vehicle is in good hands. 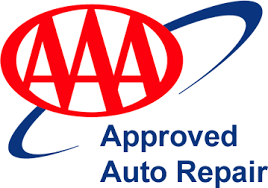 When you simply need to ensure that your car receives inexpensive and trustworthy maintenance, we’re here to help. Call us today at (309) 452-9819 to schedule a visit. We’ve been in business for over 50 years because we understand that your vehicle is more than just a car: it’s an investment in your future. In your daily commute, a trip to the store, or on long excursions: we know how important it is to have a reliable vehicle that won’t break down on you! We enjoy helping customers throughout Normal and the surrounding areas, such as Bloomington, Lexington, and Heyworth. At Baird’s Auto Care, we provide Illinois with reliable service you can trust. Keeping your car running smoothy is our #1 goal. We understand how stressfull it can be when you have a problem with your car; we are committed to fast turnarounds and competitive pricing. Baird’s Auto Care combines the best of two worlds in satisfying your automotive needs: We are family owned and operated and our repair technicians are fully certified experts. We will get you back on the road with fast, reliable service geared toward your convenience. Contact our friendly staff at (309) 452-9819 today!